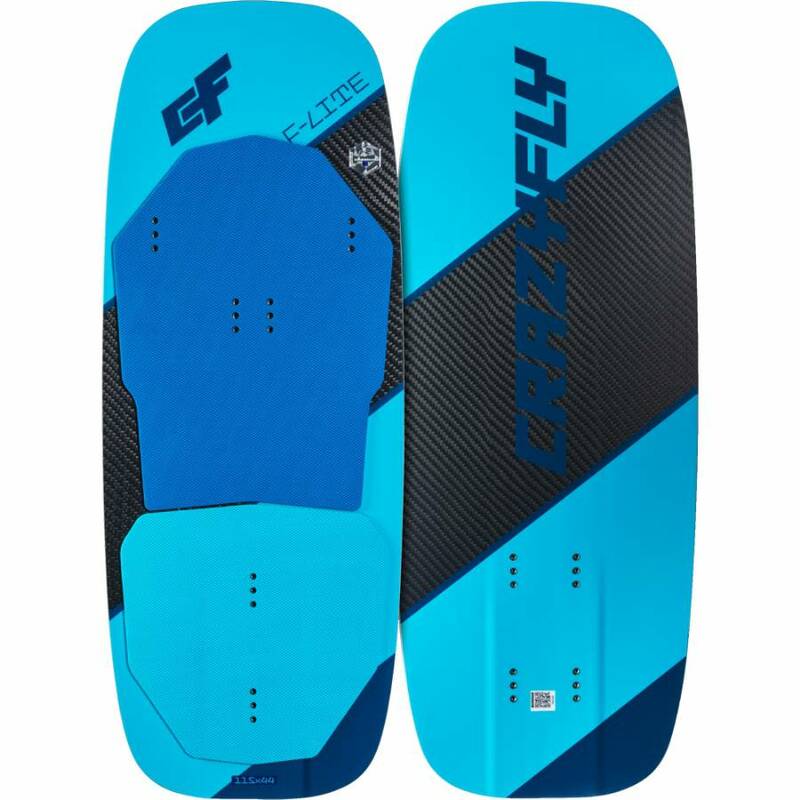 The CrazyFly 2019 F-lite is a feather light full carbon, ultra-small low volume foil board suitable for intermediate to advanced riders. 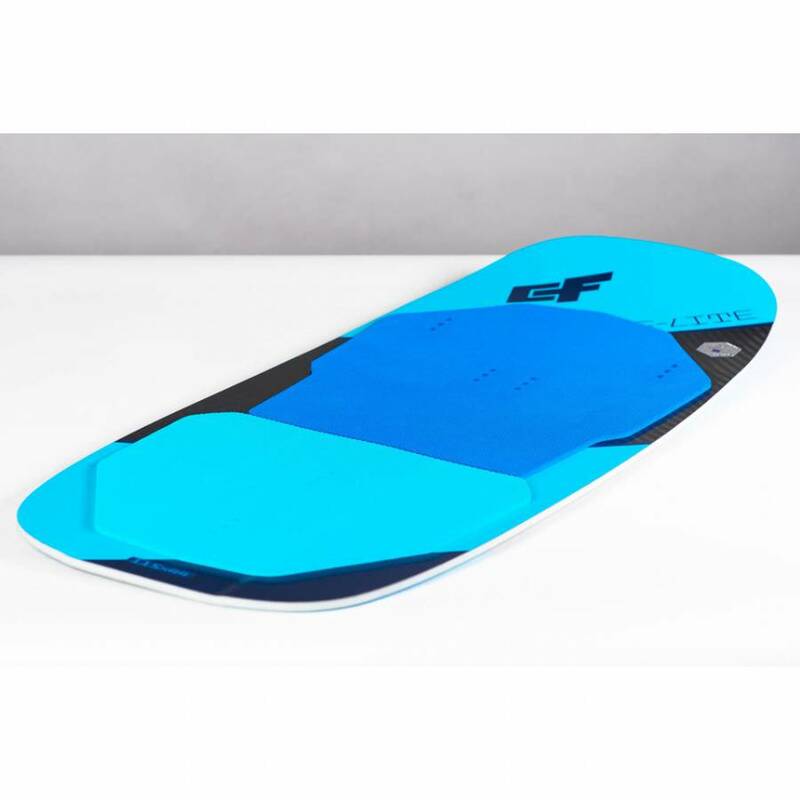 It is a high performance easy to ride board with a full diamond grip deck footpad and concave deck for easy maneuvering during gybes. Riders who already know how to foil will appreciate its small size, low weight and dynamic transfers of energy into the foil. 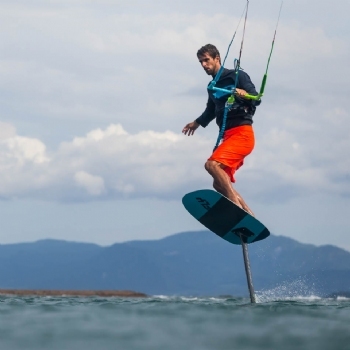 It features a high nose and speed rocker to generate speed quickly and get you up on the foil in no time. 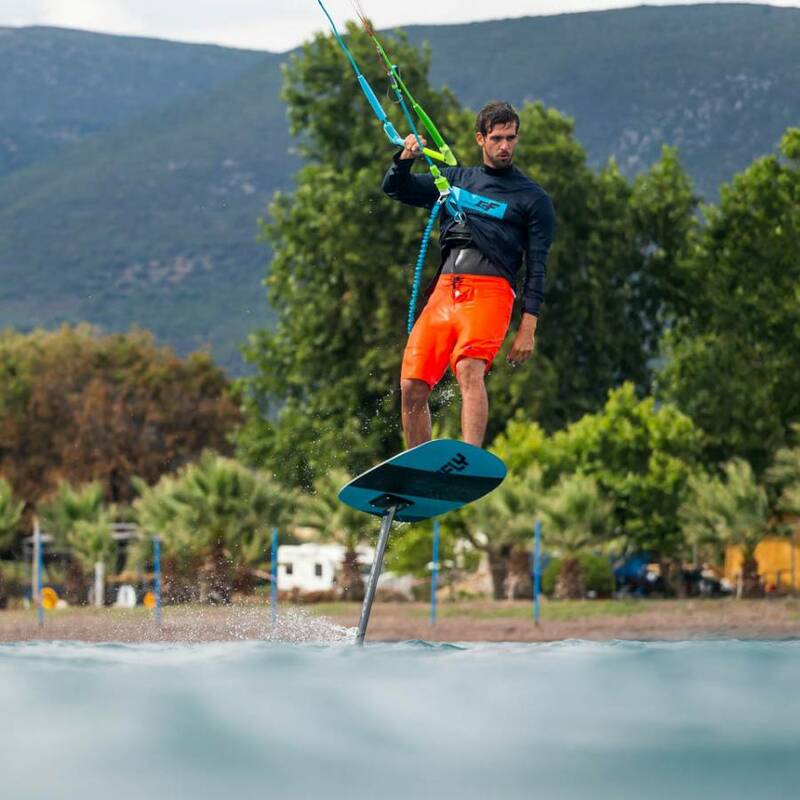 Packed with lots of performance, this board is also a great travel companion, plus it delivers great fun and amazing performance on the water. 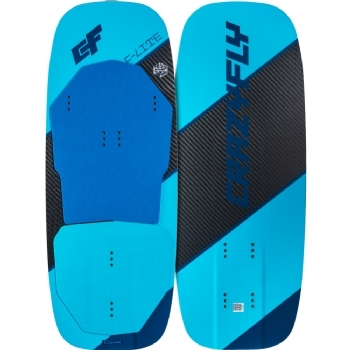 The Crazyfly F-Lite is the elite of the foil deck world: a feather-light, full carbon, ultra-small, and low-volume foil board suitable for intermediate to advanced riders. Riders who already know how to foil will appreciate its small size, low weight, and dynamic transfers of energy into the foil. 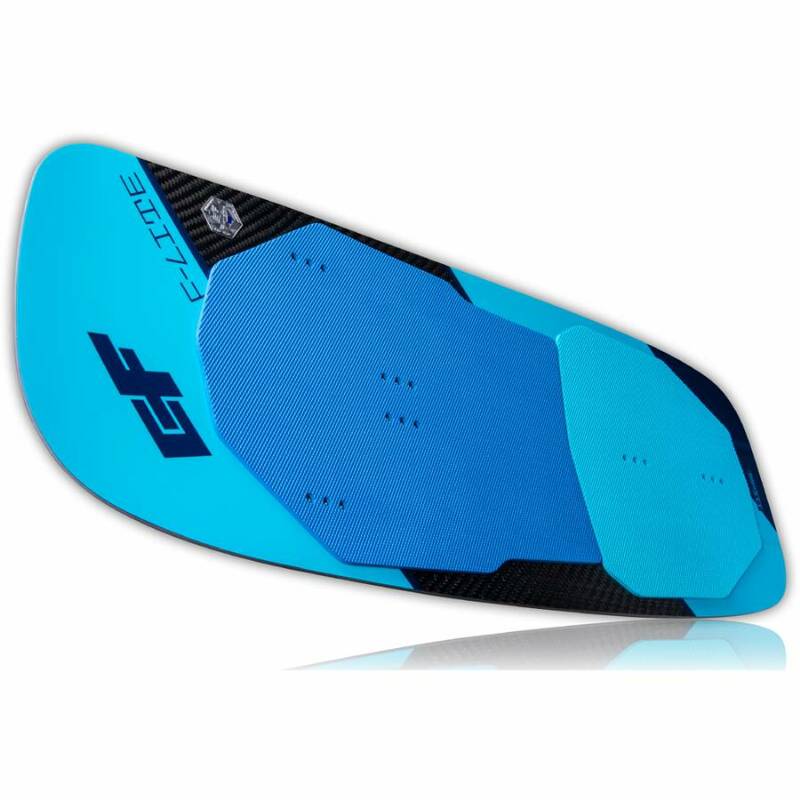 The F-Lite foil deck is packed with lots of features, a great travel companion, and offers amazing performance on the water. With its high nose and speed rocker, it provides good surface area for early planning and will get you up on the foil in no time. The deck features a rail-to-rail concave to provide easy maneuvering on the deck as well as feedback on where your feet are placed. The deck is padded with a comfortable diamond grip deck pad. The board rocker and high nose help you generate speed quickly to get on foil and keep you on plane if you touch down. The F-Lite has a full-carbon layup with a central carbon fiber stringer to increase the dynamics of transferring energy into the foil while keeping the board as light as possible. 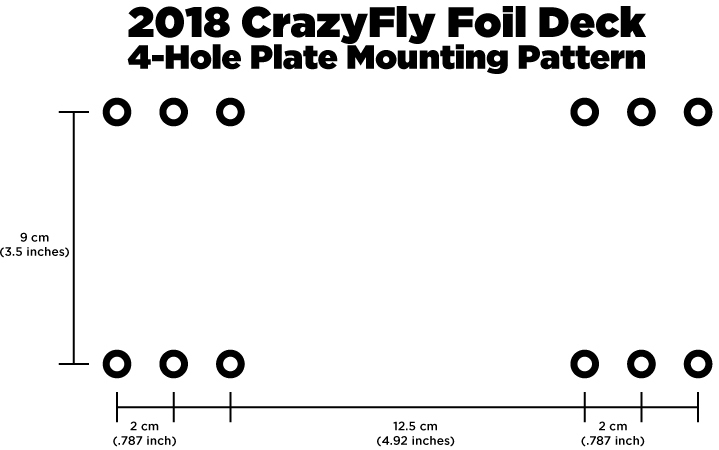 CrazyFly has applied their fabled twin tip construction methods to build the perfect deck for foiling. The twin tip style construction offers many benefits to the foil rider. The decks are about as wide and a little shorter than most twintips on the market so they super easy to pack and travel with compared to a foil deck with surf board construction that?s more prone to damage. The boards are also make water starting easier because you can tilt the board over to get your feet in place on the deck, rather than a surf-style deck wanting to stay flat on the top of the water. 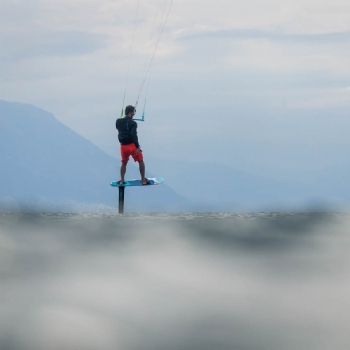 Similarly when crashing, the foil won?t get as far away from you on the CrazyFly decks compared to a surf-constructed deck. The system to mount the foil is very quick and simple too, the system is only compatible with foils with a 4-hole plate and the foil is bolted directly to the bottom of the deck with several choices for placement either more forward or more back depending on your preferred stance. The 2019 F-lite ? ultra light flight deck packed with all great features. The F-lite comes with an EVA footpad already installed.